If you are dealing with chronic back pain or an acute injury, we can help you relieve it naturally. 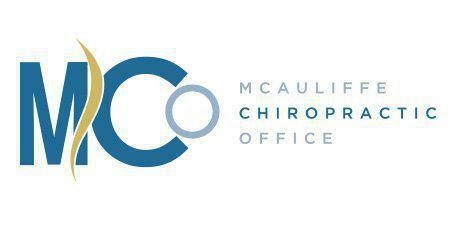 Visit our Laurel, MD practice and the team here at McAuliffe Chiropractic Office help you find relief. "McAuliffe Chiropractic is an awesome light in our community"
"This office has an excellent, well rounded approach to care"
This varies by patient, but accidents are one of the most common causes of back pain today. Auto accidents, sports accidents, and workplace accidents are all common reasons that people develop sudden back pain suddenly. Many patients also deal with chronic, lingering back pain which can be caused by natural degeneration of the spinal column due to aging, bad posture, or weight gain. Arthritis and congenital diseases such as spina bifida or scoliosis can also cause severe back pain. How Can Chiropractic Treat Back Pain? Proper spinal alignment is key in treating current back pain and preventing back pain in the future. This is why we use hands-on chiropractic adjustments to treat our patients with back pain. Following your adjustment, our patients lay on one of our state-of-the-art traction tables, which uses a gentle rolling function to re-establish normal ranges of the body’s spine and promote recovery and healing after an injury. What Is the Course of Treatment For Back Pain? The course of treatment will vary for every patient. During your first visit, we will take a full set of x-rays and perform a complete exam to determine the cause of your pain and determine if any injuries are present. We will then develop an individualized care plan that can help relieve your pain and help you restore your health. At McAuliffe Chiropractic Office, we work with most major medical insurance plans. Here is a short list of just some of the most popular plans we accept. Please contact our office if you do not see your insurance provider listed. "I ask these doctors about so many different health concerns and get best adjustments and advice for what else to do at home." "I have been to other chiropractors but this office is just beyond anything you could imagine. The staff is so nice."